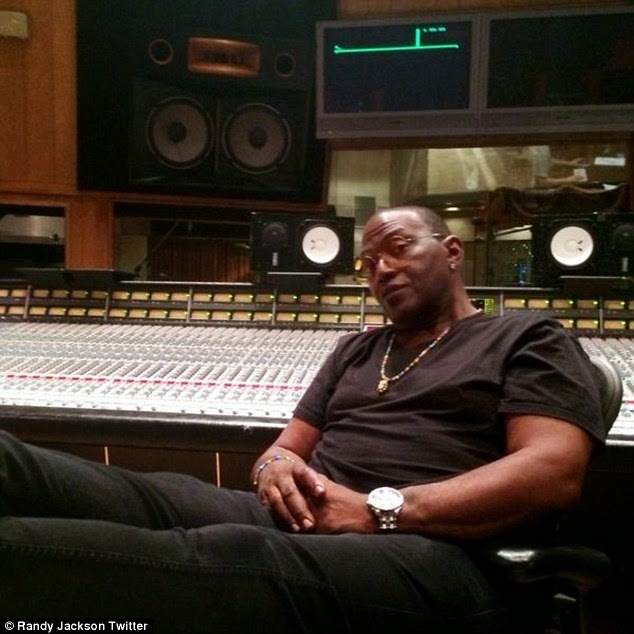 The wife of music legend Randy Jackson's is set to receive as much as $20 million in her divorce settlement. Erika filed legal documents to end her 18 year marriage this week citing irreconcilable differences. According to TMZ, massively wealthy Randy had no prenup in place when the couple married in 1995. The American Idol judge earned around $5 million a year towards the end of his 12 year tenure on the successful Fox show. And in addition, he has amassed $40 million thanks to his collaborations with musical greats including Madonna, Whitney Houston and Mariah Carey, the website reported on Sunday. The Grammy-winning producer started out as a session musician for the band Journey. Despite the split, the former couple are still happily living together with no allegations of infidelity. Former ballet dancer Erika is seeking full physical custody and joint legal custody of the pair's 17-year-old son Jordan. The couple also have a 19-year-old daughter, Zoe. She is also asking for spousal support and for Jackson to pay her attorney's fees. She also wishes to return to her maiden name of Riker. This was a second marriage for the 58-year-old who was previously married to singer-songwriter Elizabeth Jackson, the mother of his oldest daughter Taylor. Jackson has been active on Twitter this week, but has made no mention of his marriage split. Instead he has been keeping busy partying with stars including the new Miss America, and hitting the studio.